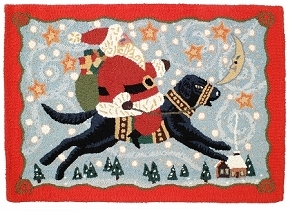 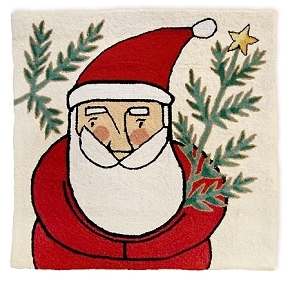 A jolly hand hooked wool 3' x 3' holiday rug. 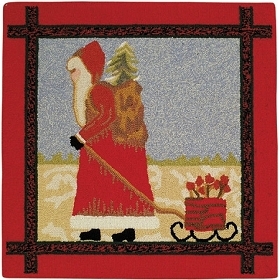 Bright holiday red coloring. 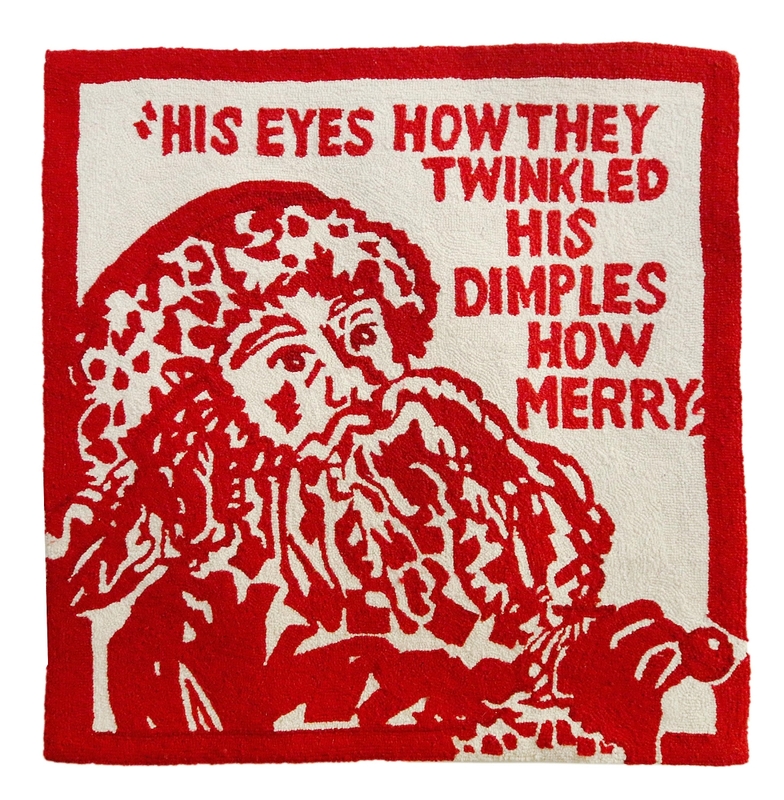 A must for the holiday season!